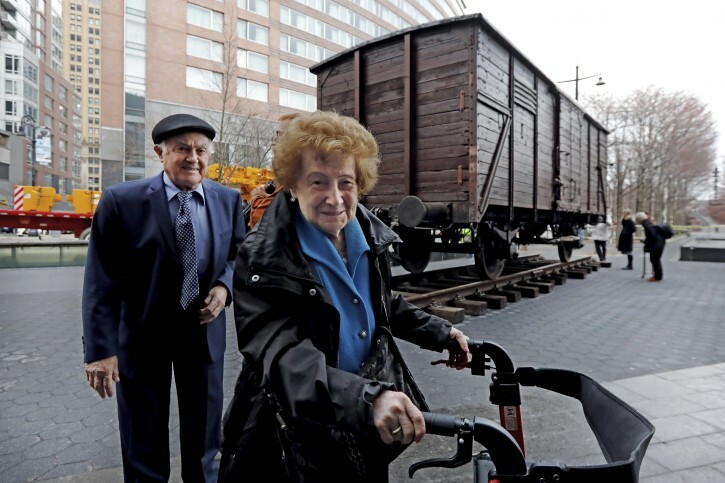 New York – On a Sunday morning, a crane lowered a rusty remnant of the Holocaust onto tracks outside Manhattan’s Museum of Jewish Heritage — a vintage German train car like those used to transport men, women and children to Auschwitz and other Nazi death camps. 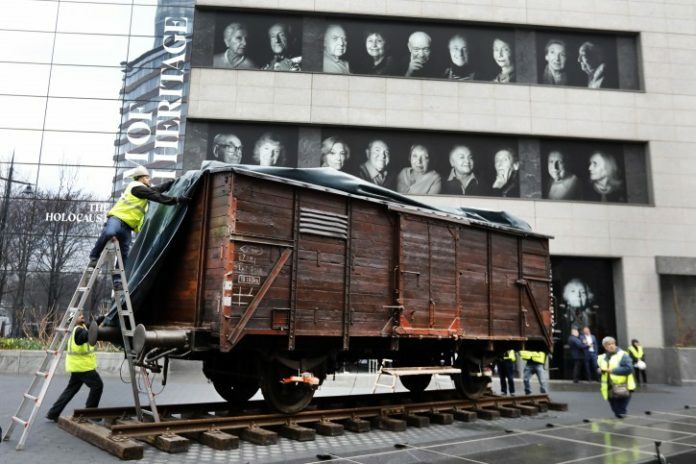 German-made freight wagons like the one in the exhibit were used to deport people from their homes all around Europe. About 1 million Jews and nearly 100,000 others were gassed, shot, hanged or starved in Auschwitz out of a total of 6 million who perished in the Holocaust. She and her sister had been forced to board the train in August 1944 in Poland, after their parents died in the Lodz ghetto where Jews were held captive.